The Stingeries: Dancing Date Nights! On and off for over two years Jason and I have been taking ballroom dance lessons. And we love them!! We first started in the group beginners class at our church where one of the members taught. After beginners 1 and 2 we took intermediate 1, 2, and 3. John, the instructor, does an amazing job at balancing a class but still giving individual attention. We reached the point where there were not any more group lessons (the class size is too small when you get that high) and decided to take a package set of private lessons that John offered us. We use those dances as date nights! We go out to dinner either before or after using a restaurant.com certificate or another dining deal we've found (since eating out is so expensive). We enjoy these date nights so much and are going to miss them when we head to Norway! 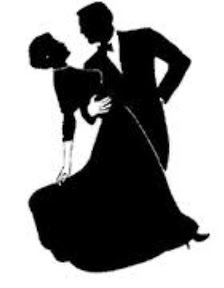 Our favorite dances are the waltz and foxtrot, but we also like the cha-cha, rumba, and tango.